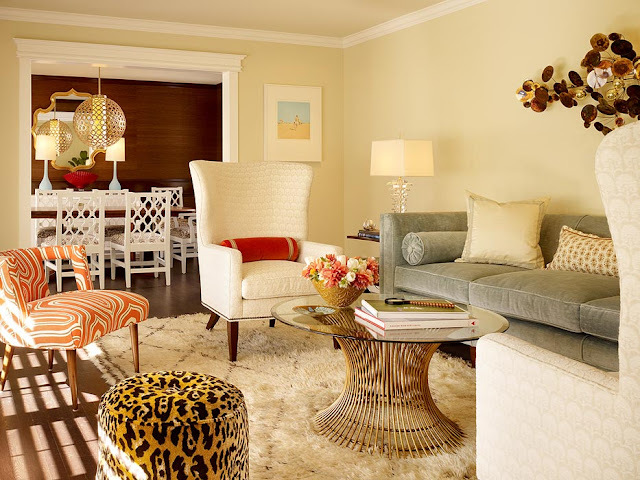 I'm loving everything about this feminine living room by San Francisco based Palmer Weiss Interior Design. Two of my favorite features are the coffee table by Worlds Away and the geometric patterned shag rug. The mix of Palm Springs Retro and Beach Chic creates a truly unique vibe.